We have put together a chart to compare the best prepaid debit and credit cards for teens, kids and children. We compare what are the most important features to help you decide. There are three main contenders on the list. They are Pockit, Go Henry and Osper. Each one has their own unique set of features but are all aimed at parents who are looking to provide a debit or credit card for their teenager or child. All of these products are aimed at teens, kids and children, between the ages of 8-18. To have a credit card in the UK you have to be 18 years of age. A teen, kid or child of any age can have a debit card or prepaid credit card, and they can have any of the cards we have reviewed. It’s possible to add additional card holders onto someone else’s credit card, but the person being added onto a regular credit card account, has to be 18 years of age. They also have access to the same credit limit and therefore the potential to run up debt. With all of the featured cards on our list, the main owner of the account must be over 18, so ultimately it will be the main account holder that will have to administer the cards on a weekly basis. By administer, I mean top them up and allocate pocket money. There isn’t any need to worry with these cards. The user of the card cannot spend more than what is on the card.​ So there is no financial risk to the parent. Each card also lets you put an instant block onto the card, should it go missing for whatever reason. You can have a debit or credit card with a Mastercard logo, and a debit or credit card with a VISA card logo. They are accepted in the same places, but there is one major difference. A debit card takes money from an account as you spend, but a credit card builds up credit (or debt) as you spend. The credit card can be paid off interest-free at the end of the month, or you can choose to pay a minimal amount back at the end of the month, and then incur interest. Credit cards are one of the most expensive ways to borrow money and should only be used in emergencies, they should not be used as a way to spend regularly on. Unless of course you can always pay them off at the end of the month. It takes a serious amount of self control and discipline to have a credit card. I should know, I got my first credit card when I was 18 and spent silly amounts of money, I never got debt free until 10 years later. Prepaid credit cards and debit cards are the perfect way to teach your teenager, how to use plastic and electronic money wisely. We have chosen three of the best prepaid credit and debit card for kids, teens and children. A kids credit card is not something that you will be able to get as in order to get a credit card, you have to be over the age of 18 and in education or employment. Debit cards for kids are something that parents can get on behalf of their kids and the cards featured on this site are debit cards for kids. Kids prepaid cards have grown in popularity as smartphones have become more and more popular. I believe the three cards we have reviewed are the best prepaid card for teens, children and kids because they have very specific features for parents. Using an app or the website, a parent can review the spending on the card, top the card up, invite a relative to pay onto it or put blocks and controls in place. They also have very easy access to management tools. These can be used to set savings goals and allocate additional pocket money, if specific tasks have been completed. The ability to fire up a smartphone or tablet app or logon to a website, and instantly see what you have left to spend is an important one. Not only for the parent, but for the teens, kids or children that will be using these cards. This helps massively when trying to make a decision before purchasing something. 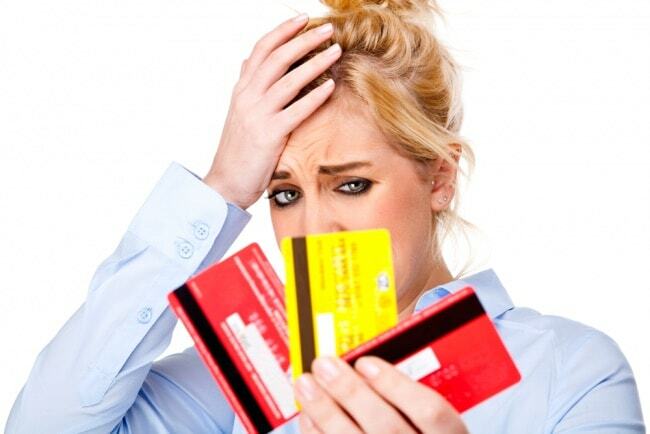 You don’t want to be in a shop and have the card declined due to a lack of funds. Let’s be honest, cards are easy to misplace and these three cards allow you to put a stop on the card in an instant, should the card go missing or get stolen. This is probably the most important financial lesson a child or teen needs to learn. To be able to budget and manage finances responsibly. Our winner of best credit card for teens, kids and children? For day to day spending and use we would recommend Go Henry. The reason being is that although this card carries a monthly fee there is no other hidden charges. It has the best management and reporting tools, both the website and smartphone apps are fairly comprehensive. It also has those all important parental controls and alerts whenever money is spent on the card. Parents can transfer a regular allowance into their teenager’s or child’s Go Henry account, it’s free if done by bank transfer. Extra money can be earned by completing tasks. The card is contactless as well as the standard chip and pin facility that most debit and credit cards have. It has the best management and reporting tools, both the website and apps are fairly comprehensive. It also has those all important parental controls and alerts whenever money is spent on the card. Parents can transfer a regular allowance into their teen’s, kid’s or child’s Go Henry account, it’s free if done by bank transfer. Extra money can be earned by completing tasks. The card is contactless as well as the standard chip and pin facility that most debit cards have. Analysis – The most feature rich of debit cards for children and teens. In second place is Osper. It allows parents to send their teens, children and kids money, either as a one-off or setup an allowance so that they get money on a regular basis. Relatives can also be invited to load the card up. It doesn’t have as many parental controls, message alerts or the contactless option on the debit card. However as a basic debit card, with regular top ups and easy access to the account balance, it is still a great option. Osper also allows parents to prevent the card from being used online, and to put a block on it, should the card be lost or stolen. Unlike Go Henry though you cannot earn extra pocket money by completing tasks. One of the things that we like about Pockit is that it comes with a really low quarterly fee. You simply sign up for 99p and within a couple of days the card arrives in the post. In third place is Pockit and the only reason is that it lacks any kind of parental controls or restrictions. Just got the go henry card for my son. He was excited however, if you are like me & pay pocket money weekly then there is an issue. Aside from the monthly fee you get one free debit card or bank transfer in a month. All the rest cost 50p per transaction. At this the monthly fee is no better than a card for people with bad credit. The money I was going to pay in from his Birthday & Christmas will stay firmly in his pocket. Should we continue to use it for his pocket money, it will be paid monthly. As this is a card designed for children to learn the value of money it would silly for me to advise him to use this service. If he earns extra money for chores & wishes to pay it in go henry the cost will spiral. The high street bank looks the better option now!